User joined July 3, 2012 | Cashblurb # 1072 | This user shared cashblurb # 1009 on their Twitter page. 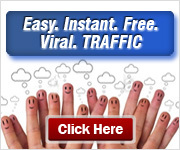 User joined July 7, 2012 | Cashblurb # 1071 | This user shared cashblurb # 1068 on their Facebook page. 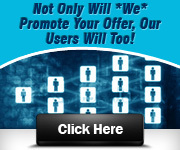 User joined July 2, 2012 | Cashblurb # 1070 | This user shared cashblurb # 1068 on their Twitter page. User joined July 3, 2012 | Cashblurb # 1069 | This user shared cashblurb # 1068 on their Facebook page. User joined July 3, 2012 | Cashblurb # 1068 | This user shared cashblurb # 1066 on their Twitter page. User joined July 3, 2012 | Cashblurb # 1067 | This user shared cashblurb # 1066 on their Twitter page. User joined June 30, 2012 | Cashblurb # 1066 | This user shared cashblurb # 1065 on their Twitter page. User joined June 30, 2012 | Cashblurb # 1065 | This user shared cashblurb # 963 on their Twitter page. User joined July 7, 2012 | Cashblurb # 1064 | This user shared cashblurb # 1057 on their Twitter page. User joined July 7, 2012 | Cashblurb # 1063 | This user shared cashblurb # 1062 on their Twitter page. User joined July 4, 2012 | Cashblurb # 1062 | This user shared cashblurb # 1059 on their Twitter page. User joined July 3, 2012 | Cashblurb # 1061 | This user shared cashblurb # 1060 on their Twitter page. User joined July 2, 2012 | Cashblurb # 1060 | This user shared cashblurb # 1057 on their Twitter page. User joined July 4, 2012 | Cashblurb # 1059 | This user shared cashblurb # 1056 on their Twitter page. User joined July 7, 2012 | Cashblurb # 1058 | This user shared cashblurb # 990 on their Twitter page. 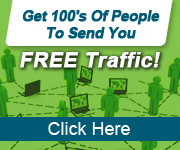 Do YOU use this CRAZY traffic method? http://go.clickmeter.com/eol2/ This cannot be EASIER! User joined June 30, 2012 | Cashblurb # 1057 | This user shared cashblurb # 1056 on their Twitter page. User joined July 6, 2012 | Cashblurb # 1056 | This user shared cashblurb # 1055 on their Facebook page. User joined July 7, 2012 | Cashblurb # 1055 | This user shared cashblurb # 1053 on their Facebook page. User joined July 6, 2012 | Cashblurb # 1054 | This user shared cashblurb # 1053 on their Facebook page. User joined July 1, 2012 | Cashblurb # 1053 | This user shared cashblurb # 1052 on their Facebook page. User joined July 6, 2012 | Cashblurb # 1052 | This user shared cashblurb # 527 on their Facebook page. User joined July 7, 2012 | Cashblurb # 1051 | This user shared cashblurb # 1048 on their Twitter page. User joined July 2, 2012 | Cashblurb # 1050 | This user shared cashblurb # 1049 on their Twitter page. 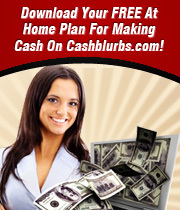 User joined July 1, 2012 | Cashblurb # 1049 | This user shared cashblurb # 1047 on their Facebook page. User joined July 4, 2012 | Cashblurb # 1048 | This user shared cashblurb # 1047 on their Twitter page. User joined July 1, 2012 | Cashblurb # 1047 | This user shared cashblurb # 1046 on their Facebook page. User joined July 4, 2012 | Cashblurb # 1046 | This user shared cashblurb # 1044 on their Twitter page. 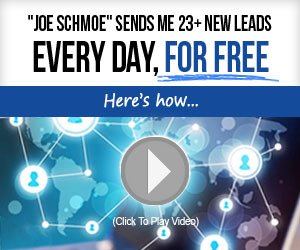 User joined July 7, 2012 | Cashblurb # 1045 | This user shared cashblurb # 372 on their Facebook page. User joined July 2, 2012 | Cashblurb # 1044 | This user shared cashblurb # 1042 on their Twitter page. User joined June 30, 2012 | Cashblurb # 1043 | This user shared cashblurb # 1042 on their Twitter page. User joined July 7, 2012 | Cashblurb # 1042 | This user shared cashblurb # 1040 on their Twitter page. User joined June 30, 2012 | Cashblurb # 1041 | This user shared cashblurb # 1039 on their Twitter page. User joined June 30, 2012 | Cashblurb # 1040 | This user shared cashblurb # 1039 on their Twitter page. User joined July 7, 2012 | Cashblurb # 1039 | This user shared cashblurb # 372 on their Twitter page. User joined July 7, 2012 | Cashblurb # 1038 | This user shared cashblurb # 1036 on their Twitter page. User joined May 9, 2012 | Cashblurb # 1037 | This user shared cashblurb # 990 on their Twitter page. User joined June 30, 2012 | Cashblurb # 1036 | This user shared cashblurb # 1035 on their Twitter page. User joined July 1, 2012 | Cashblurb # 1035 | This user shared cashblurb # 1033 on their Twitter page. User joined June 30, 2012 | Cashblurb # 1034 | This user shared cashblurb # 1033 on their Twitter page. User joined July 7, 2012 | Cashblurb # 1033 | This user shared cashblurb # 1030 on their Twitter page. User joined July 3, 2012 | Cashblurb # 1032 | This user shared cashblurb # 1009 on their Facebook page. 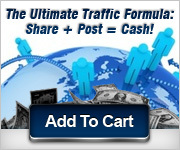 User joined July 6, 2012 | Cashblurb # 1031 | This user shared cashblurb # 949 on their Facebook page. User joined July 6, 2012 | Cashblurb # 1030 | This user shared cashblurb # 1026 on their Twitter page. User joined June 30, 2012 | Cashblurb # 1028 | This user shared cashblurb # 1023 on their Twitter page. I just cashed out $38.42 from @FusionCash. 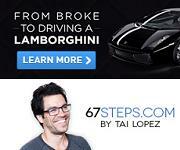 You can too: http://fca.sh/1d5fu $5 signup bonus! User joined July 7, 2012 | Cashblurb # 1027 | This user shared cashblurb # 1026 on their Twitter page. User joined June 30, 2012 | Cashblurb # 1026 | This user shared cashblurb # 1025 on their Twitter page. User joined July 3, 2012 | Cashblurb # 1025 | This user shared cashblurb # 1024 on their Twitter page. User joined June 30, 2012 | Cashblurb # 1024 | This user shared cashblurb # 1023 on their Twitter page. User joined May 9, 2012 | Cashblurb # 1023 | This user shared cashblurb # 1019 on their Twitter page. User joined June 30, 2012 | Cashblurb # 1022 | This user shared cashblurb # 1020 on their Twitter page. - Showing the latest 699,628 CashBlurbs. - 625,384 CashBlurbs have been shared!